A standing desk calendar in rosewood finish with a small picture frame on the adjacent side. 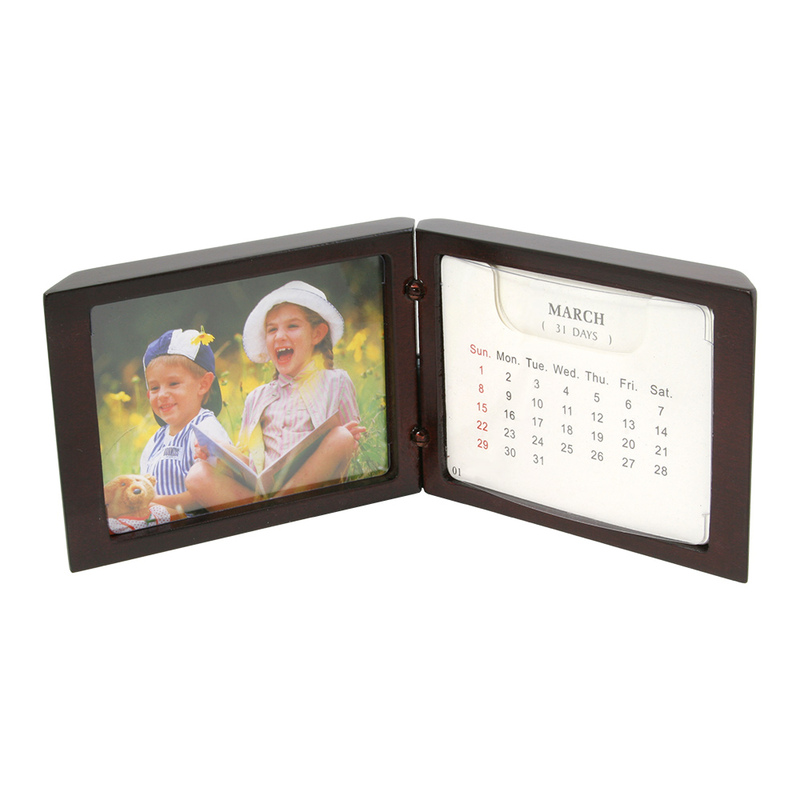 The calendar features additional cards for the shift in starting days in each month, while the picture frame allows for a small portrait (3-1/4" x 2-1/2"). The picture and calendar cards can be changed by removing a small plastic insert.